Showing 41–50 of 57,361 items. 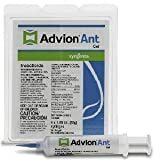 Advion Ant Gel is consumed by the workers as well as taken back to the colony to be shared, providing a high kill rate, eliminating the colony in a short period of time. Quality Sunflower seeds packaged by Seed Needs. 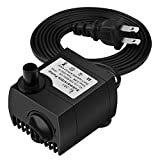 Intended for the current and the following growing season. Packets are 4" wide by 4.675" tall and come with a full colored illustration on the front side, as well as detailed sowing instructions on the reverse. Crazy Mixture is a combination of our most popular sunflower varieties. 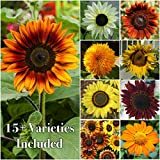 It consists of 10+ Sunflowers, including customer favorites such as: Autumn Beauty, Velvet Queen, Lemon Queen, Red Sun, Evening Colors and more. This particular mixture of seeds will produce flowering plants that grow to a varying height of 1 foot tall to over 7 feet tall, in colors of red, yellow & orange and will even produce bi-colored blooms. Grown as an annual flowering plant, Sunflowers will grow quickly, bloom profusely and later die with the first killing frost. Sunflowers are best sown outdoors as a border plant, along fences, or in fields by the masses. They will bloom throughout the summer months and seeds can be collected at the end of the season. 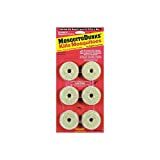 DECK AND PATIO AREA REPELLENT: Repels mosquitoes and other flying insects in outdoor areas. CREATES AN INSECT BARRIER: 20-ounce candle provides up to 40 hours of protection. MADE WITH REAL CITRONELLA OIL: Keeps mosquitoes away from outdoor activities for hours. 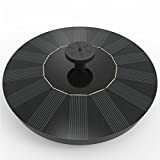 CONVENIENT GREEN CONTAINER: Portable mosquito protection perfect for the patio, porch, deck or campsite. 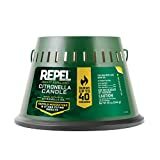 PERIMETER PROTECTION: Use several Repel Insect Repellent Citronella Candles to maximize the repellent barrier.